Eric Bernstein is an Assistant Professor of Educational Leadership in the University of Connecticut’s Neag School of Education. Dr. Bernstein holds a joint appointment with the School of Dental Medicine, where he is the Director of Curriculum Advancement. In a collaborative project with the University of Pennsylvania Graduate School of Education, Dr. Bernstein also serves as the Associate Director of the Penn Educational Leadership Simulation (PELS) Program. 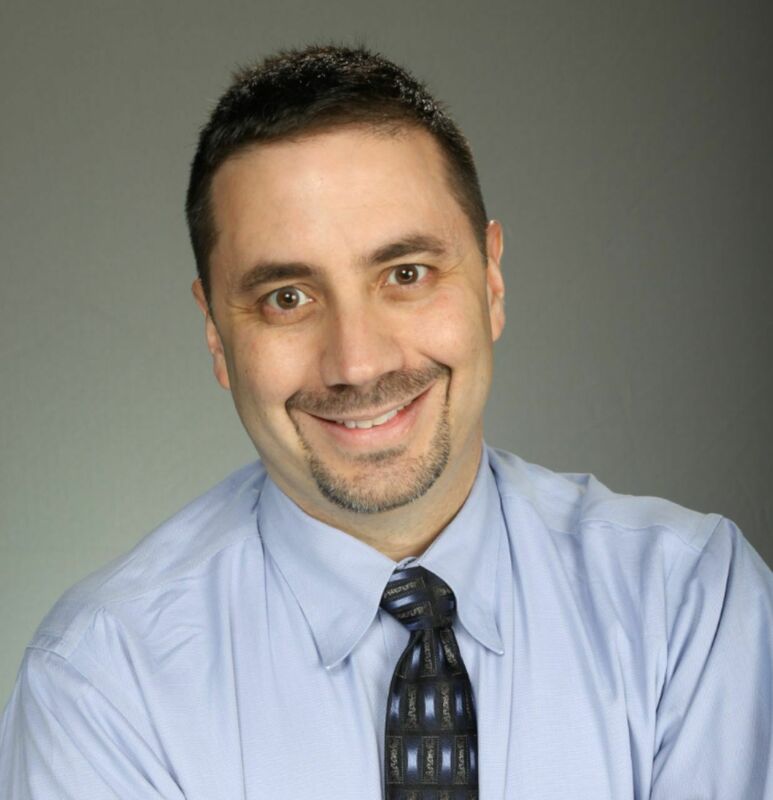 Prior to joining the faculty at the University of Connecticut, Dr. Bernstein was at the University of Southern California Rossier School of Education, with extensive experience in online and distance learning graduate degree programs. Before entering higher education, Dr. Bernstein worked as a middle school math and social studies teacher, a middle school assistant principal, and a middle and high school principal. His research interests include professional development–including the use of simulations for pre-service and in-service educational leadership development, professional education and curriculum development, school discipline policy and social justice in education. Bernstein, E. & Johanek, M. (2014). Perceived Value of Embedding Simulated Problems of Practice Into Educational Leadership Development Programs—Initial Findings. Paper presented at University Council for Educational Administration Annual Meeting, Washington, DC, November 22. Bernstein, E. (2014). “But I Wasn’t Even Acting Black” Internalized Racial Microaggression in Black High School Students. Paper presented at American Educational Research Association, Philadelphia, PA, April 3. Bernstein, E. & Johanek, M. (2013) Online Multi-media Branching Simulations to Promote Professional Learning Among PK-12 Educational Leaders. Paper presented at Sloan Consortium International Conference on Online Learning, Orlando, FL, November 21. Bernstein, E. (2013). Hegemonic Mitigation and Racist Aggravation: Extreme Disparate Impact of K-12 Zero Tolerance Policies. Paper session presented at the annual meeting of the National Association for Multicultural Education. Oakland, CA, November 7. Bernstein, E., Johanek, M., & Parker, W. (2013). Impacts on Practitioner-Scholars of Participation in the Collaborative Authorship of Educational Leadership Simulations. Paper presented at University Council for Educational Administration Annual Meeting, Indianapolis, IN, November 9. Bernstein, E. (2013). The Use of Online Simulations For Problem-Based, Context-Rich Leadership Development Across the Educational Leadership Career Lifespan. Paper presented at University Council for Educational Administration Annual Meeting, Indianapolis, IN, November 9. Bernstein, E. (2013). Blended, Peer-to-Peer Professional Development (P2P-PD) for PK-12 School Leaders. Paper presented at SLOAN-C Emerging Technologies for Online Learning 6th Annual International Symposium, Las Vegas, NV, April 10. Bernstein, E. (2013). Enhancing District Leadership Through the Use of Online Branching Simulations. Presentation at National Conference on Education, Los Angeles, CA, February 21. Bernstein, E. (2013). Social Learning Through the Synchronous Use of Online Simulations. Invited presentation at Immersive Learning University Symposium, San Antonio, TX, January 17. Bernstein, E. & DePasqua, J. (2012). Why we ride the bus: A model lesson on public school integration from Brown v. Board of Education to 2012. Presentation at National Association for Multicultural Education Annual Conference, Philadelphia, PA, November 30.